January 19th - 23rd 2015 was a week of networking, knowledge, experiences , and skills sharing, for the 22 mappers in the Eastern region, selected from six of the institutions visited between September and October 2014 in the Eastern Region of Uganda. Mbale town was selected as a convenient location where the mappers could get together from their various locations in the Eastern Region. Some of the ideas were to ask the University administration to form mapping clubs, create more awareness in their universities, and also move outdoors for mapping activities. The 3 days were most appreciated as there was "concentration for 3 days to learn more, as a result of not being at the University" and some students wished to have such events and trainings atleast every after 3 months, with practical involvement of everyone. 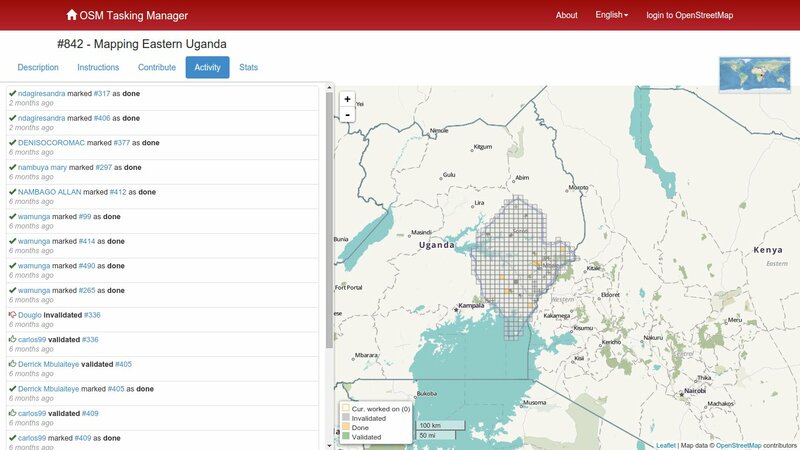 A mapping task on the HOT Tasking Manager was set up in the Eastern Region. At the end of the 3 days there was a competition element with an OSM Fight, for the mappers. It was great that two months later (March), the students in Jinja and Busitema Universities organised their own mapping events and are setting up mapping clubs in their Institutions, respectively.